I'm so excited to share this with you ladies, my first ever makeup related event! 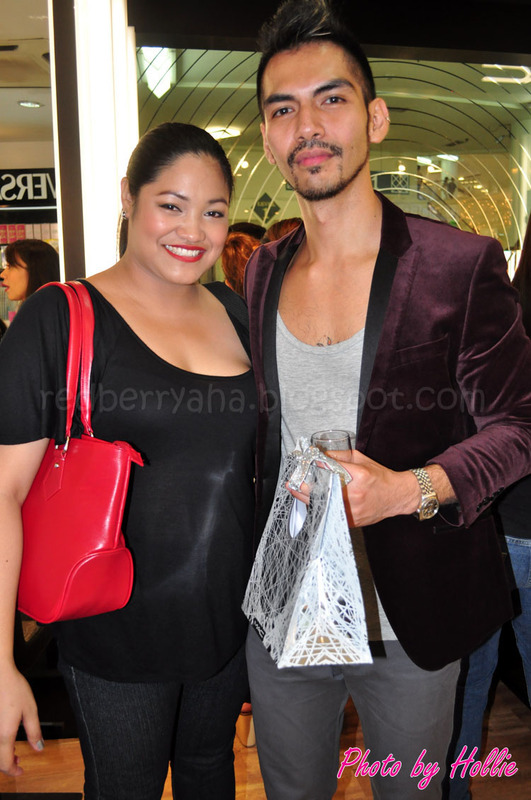 It's the MAC Cosmetics grand opening at Rustan's Ayala Center Cebu. I was surprised when I received the official invite from MAC Cosmetics. You can just imagine me grinning all afternoon at the office when I got it. (thanks to April and Jaja of BigSeed Media for taking your time to contact me). The MAC freebies were totally unexpected! I was even more excited to be at the even when I found out that Sophie of Beautynomics.com and Shen of Shen's Addiction will be there. 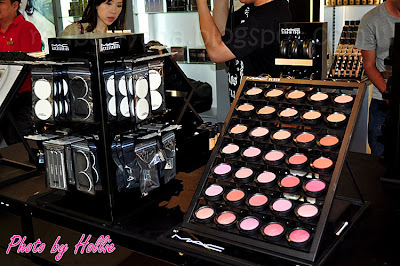 I took some photos of the MAC Cosmetics products available at their counter. You have no idea, how tempted I was to buy those eye candies! More photos with the beautiful people! 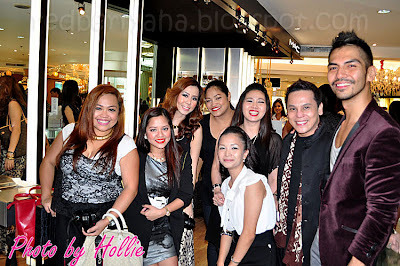 Cebuana Beauty Bloggers turned Certified MAC Make-up Artists! I couldn't leave without taking a photo of The Jigs Mayuga! It was a successful event. I'm blessed to have met all those beautiful people and new friends! I also would like to give a shout out to the Fashion Bloggers Eden of Chic in the Tropics and Mac of Style Cebu, it was such a pleasure meeting you ladies! 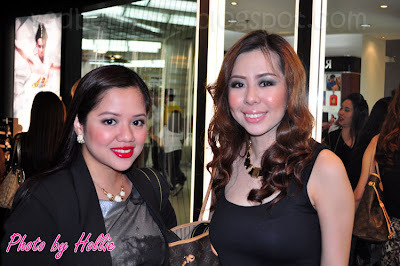 It's wonderful to see Cebuana Youtube Beauty Guru Janah again after such a long time. You can check out her channel MaricarlJanah HERE. You can see more photos from the event at Shen's Addiction and Beautynomics.com. Wow congratz on the grand opening on Cebu, MAC ! :) I wish I could also get invites for events like this. The pictures look nice. you looks gorge.. pretty hot momma!!! 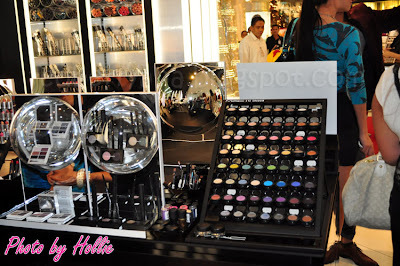 ahhh i love MAC products!! omgosh so lucky you guys got mac product freebies!!! OMG hollie im so happy for you! 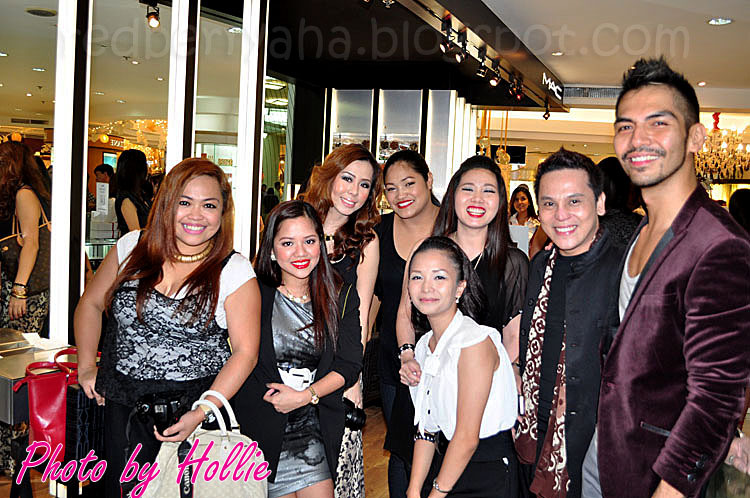 :D looks like you guys had a lot of fun :D you're so gorg hollie!!! Super saya naman nito. Btw ill be there in cebu this sinulog but i was wondering if maraming affected ng flood. Hope you and your family are ok there. HOLLSTER!! THANK YOU!! I will grab this photo of all!! Salamat!! Happy new year!! Just to say, I love your blog! I'm just starting mine and yours is great inspiration. I think these products look beautiful. 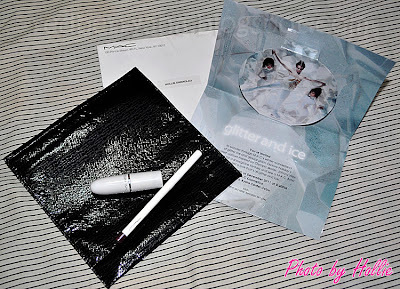 The only downside is the products all look so gorgeous: Thanks!! !